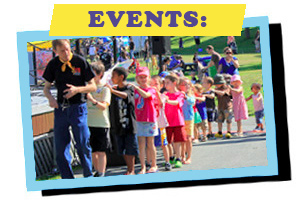 RAZZMATAZZ FOR KIDS delight children and parents alike at their FAMILY SHOWS. They will get you hugging someone you love, clucking like a chicken, riding a bumpy bus, singing, laughing, hopping, dancing, clapping your hands, or performing on stage with them at their concert of fun, original children’s songs. To inquire about a show today, please send us a line via our Contact page! -Nancy Schell, Executive Director, New Brunswick Arts Council. 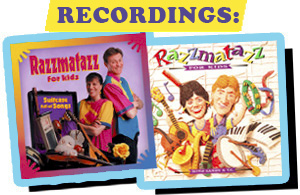 “Razzmatazz has been presenting concerts at the Maritime Conservatory of Performing Arts for the past 7 years. They have filled our concert hall with children from ages 2 – 10 and their parents and grandparents. They create a very friendly enthusiastic atmosphere and establish a great dynamic of audience participation and attention to the performance. The families leave happy, excited and singing the songs.